And so, we finally come to the last instalment of our epic USA tour. 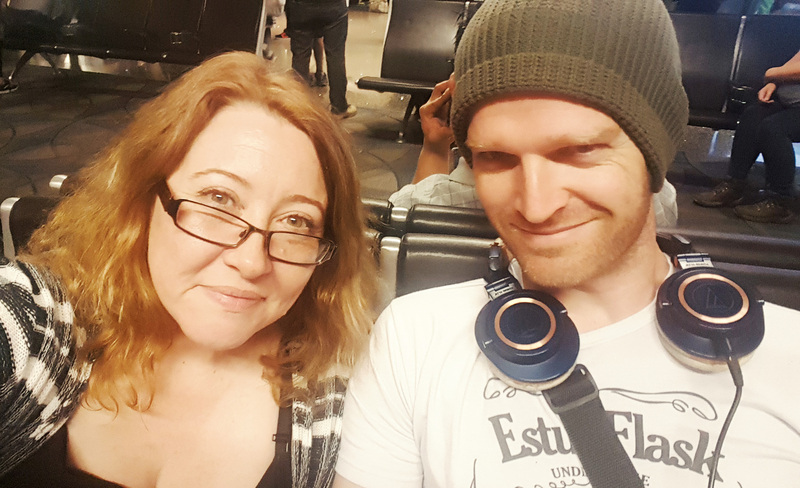 Five flights down, we finally landed in LA once more for the last few days of our time in America, all ready for some R&R. Little did we know there was one last bit of excitement to come … from Rio! Republic Director, Sally McLean with the rather good latte discovered at the Hotel’s Coffee Bar. I will confess that it seemed a bit odd to be in LA for rest and recuperation, considering we’re in the biz and it’s the Mecca for the biz in general. 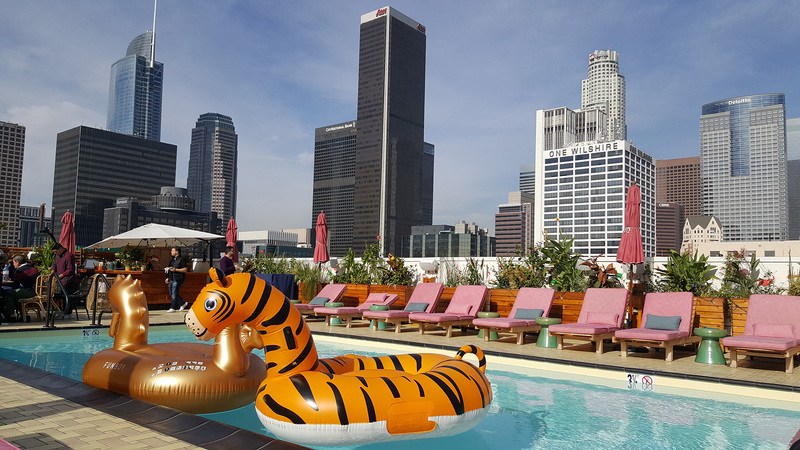 But, we had deliberately booked a hotel that had an upstairs rooftop pool and bar so we could just hang out there for the two and half days until our flight to New Zealand was ready to leave, and it would take a LOT to drag us away from there, as it turned out! Needless to say, we were straight back up to the rooftop bar to celebrate, so that turned into a rather late night! But we were up again reasonably early, because our favourite travel companion had landed in LA and was ready to hang out for some more fun! 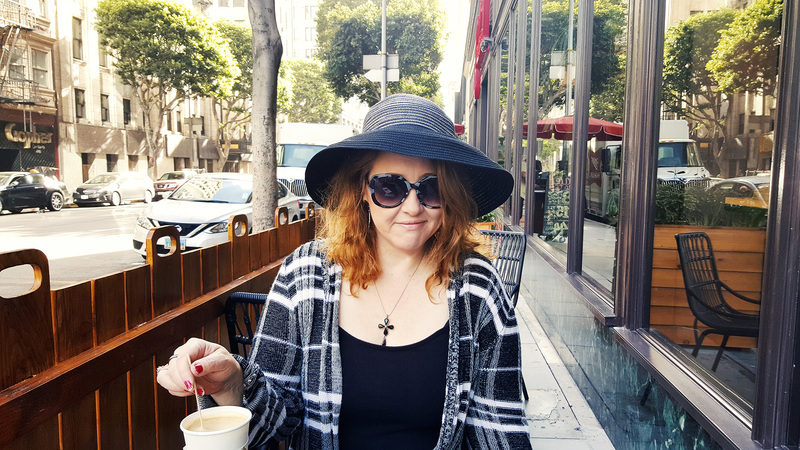 Phoebe had booked into a hotel a block away from ours, and as Billy hadn’t seen any of LA before, she and I decided to hit Hollywood Boulevard with him so he could see at least a couple of tourist things while there. 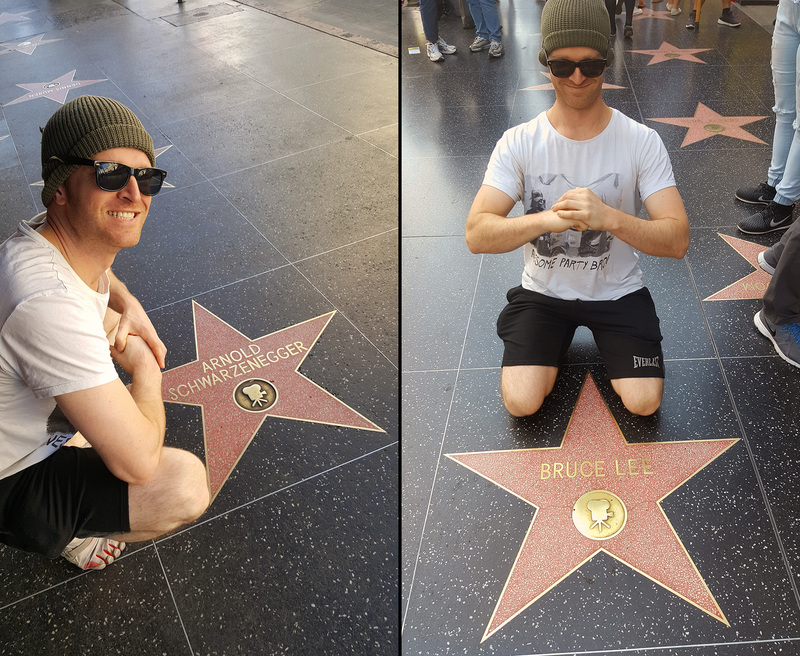 The above photo doesn’t actually convey his response – he was quite happy to find a couple of stars on the Walk of Fame, as well as check out the size of various people’s feet and hands at the Chinese Theatre. That was our only foray outside the hotel. Apart from going to find a bottle shop at midnight, which was it’s own adventure in Downtown LA, there’s not really much more to share from this part of the trip. Lots of chatting, hanging by the pool, drinking cocktails and the usual thing you do when you’re trying to get some downtime. 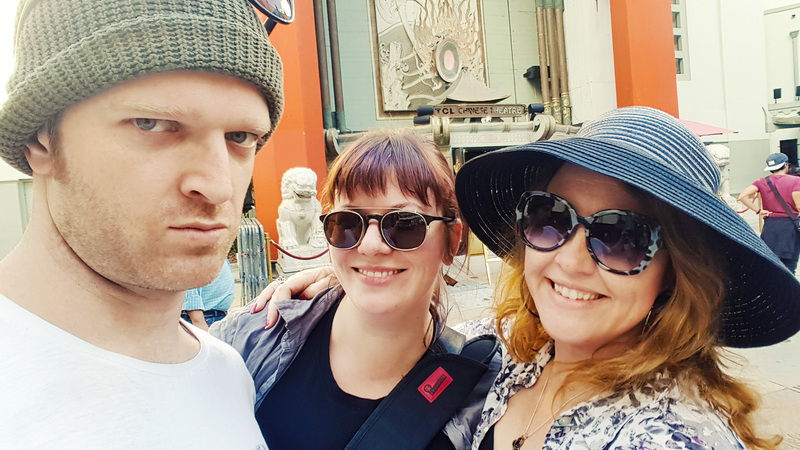 We did end up with an extra night in LA, as our flight to Auckland was cancelled, but really, it wasn’t that much of a trial … as you can see from the pictures below! And so, the actual, final day of our departure from the USA arrived. 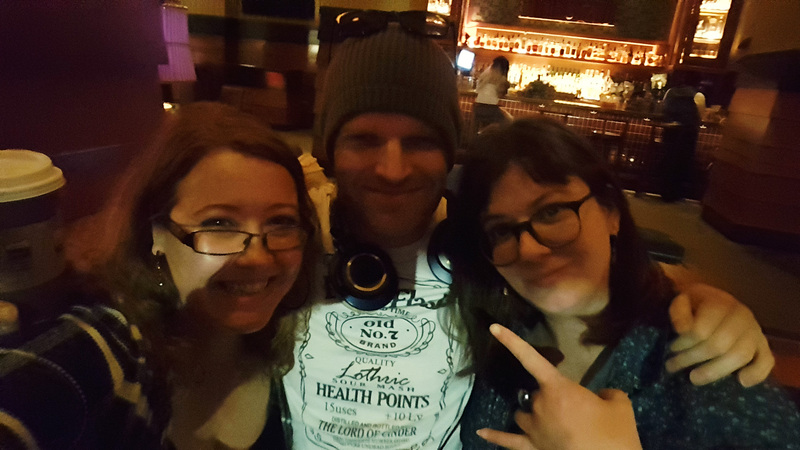 We hung out with Phoebe all of our last day, again drinking cocktails and eating burgers at the rooftop bar (which is called the “Broken Shaker” for those who might be wondering), before heading downstairs to collect our luggage and wait for our Lyft to take us to LAX. Thank you to NYC WebFest, the CINE Golden Eagle Awards, Peak City International Film Festival, Rio WebFest, all our friends and family that we got to catch up with and spend time with, Auspicious Arts Projects Inc. for helping us to manage our budget and insurances for travel, all our incredible supporters and donors who helped us create Season Two, which gave us the reason to travel to the USA, Independent Schools Victoria and the Arts Learning Festival for commissioning our short film Speaking Daggers, which was our reason for travelling to North Carolina, James Stafford for taking such good care of us in New York, the Holiday Inn Express, Apex for taking care of us in North Carolina and the Freehand Hotel for being so good to us in LA. It was a trip to remember for all the right reasons and we look forward to returning sometime in the near future. Stay well, be kind to each other, be happy and speak anon. Posted On 29/01/2018 in Behind The Scenes, Project Updates, Screenings & Festivals, Uncategorized with 0 Comments.Tagged: america, awards, festivals, Los Angeles, Rio WebFest, usa.